Having to buy new furniture can be expensive, so you need to be sure that the furniture you buy is well-made and will last for many years to come. This is especially important when it comes to buying children’s furniture. Not only do children tend to be rough on things, they also grow quickly. This is why you should try to find furniture that is going to grow with them. There are many pieces you can get for children that should last them well into their college years and beyond. If you are buying furniture in Columbus, Ohio, the best place to get the highest quality furniture is at Amish Originals Furniture Co. in Westerville. There are going to be many furniture items that you will need to have that are not going to grow with your children. These are mainly baby items such as bassinets and changing tables, which is another subject all together. Once your child grows out of their crib, it is time for a big kid bed. Many parents choose a single or twin bed, because their children are small. It is much better to think ahead. Consider getting a double bed for your child. It won’t take up much more bedroom space, and they will be able to use it even after they are grown up. The only thing that you will need to replace every few years is the mattress and box spring. It is also important to have plenty of storage, and there are many items that will grow right along with your children. For instance, you can get stacking shelving units. Small shelves are ideal and easy for little ones to reach, and as they get taller you can stack the shelves for more floor space. They will be able to take these with them to use in college dorms and apartments later on. Dressers are also necessary. 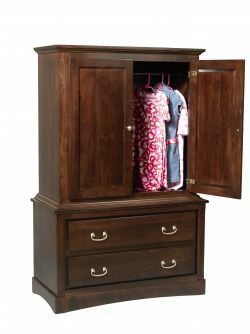 A lot of people think it’s cute to get child-size dressers, but these are pretty much useless after a couple of years. Just get small dressers that they will be able to use for many years. They may need to get a couple more later on, but one or two is perfect for smaller children who don’t have huge wardrobes yet. 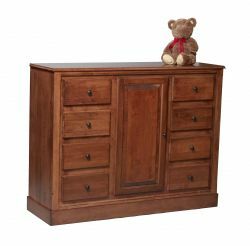 Other furniture items that you can get for children’s rooms that they can use for a lifetime are storage trunks. They can be used for toys, clothing, etc. while they are children, for books and other items in college and even as hope chests. You can find all of these items when you shop for furniture at Amish Originals Furniture Co. Every item is hand-crafted by members of more than 70 area Amish families. Each piece is built with the finest hardwoods, and is built to last a lifetime. When you want furniture that is going to grow with your children, and take everything that they can throw at it, Amish Originals is the place to shop.